Bena, a community that is situated about 16km from Bajawa at the foot of Mount Inerie, is the most famous and also most visited village in the Ngada district. With its impressive stone formations and ancestral shrines. 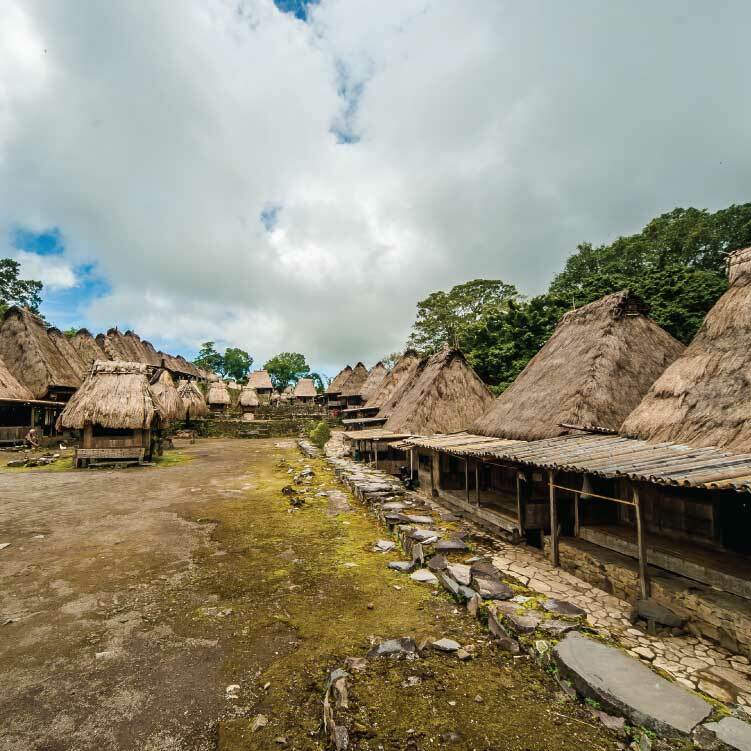 As well as traditional houses, Bena has turned into a signpost for Ngada culture. Megaltic site at Bena VillageThe way from Bajawa to Bena pass on Mt. Inerie. It’s still active volcano. You can get a nice view and take great shot for pictures. Before reach Bena village the road going up, and from the peak you will see great view of Bena village on a distance (see the pictures above). It is great pictures, isn’t it? Before entering the village there is a guard post where you buy an entrance ticket and write on a guest book. There is toilet on the back side with enough of water, even plenty of water. Last time I saw the water is running all the time. Bajawanese Traditional House Bena VillageWalk through the village take your time to explore, however there are just few people there during the day time, most people work on their field. Mostly only children and old people staying in the village. But, that is enough fro gathering around and chat with them. Some of them will try to sell their “Ikat” weaving and handcrafts; a nice woven basket which I like it and bought several.